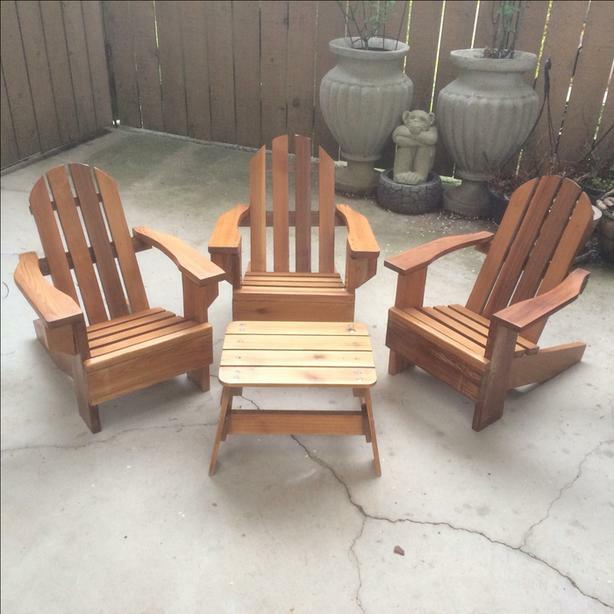 The is a gorgeous hand-made wooden Adirondack style chair set and wooden table made for our three kids who had outgrown them (made in Port Alberni). Just freshly stained as well. Great for young kids. All chairs and table in good condition. Dimensions: width 17 1/4", height 21 1/2", seat 11.75" x 11"